Our staff provides comprehensive wound care including complicated ostomy and fistula management, Negative Pressure Wound therapy (i.e. wound VAC) and complex wound care utilizing advanced wound care products including wound managers. A comprehensive assessment is completed on wound, skin, or ostomy patients to identify causative factors. 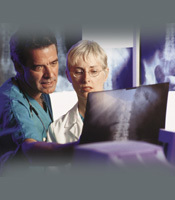 All nursing staff utilize digital imagery which can be shared with the physicians. We have advanced practice nurses who are certified in Wound, Ostomy Continence Nursing who consult and treat patients and who also regularly provide education to all nurses. Our WOCN nurses partner with the attending physician and provide treatment according to protocols based on industry standards and the current research. The wound care program provides the latest treatment modalities available.